Want to see Space for Cycling in Bristol? 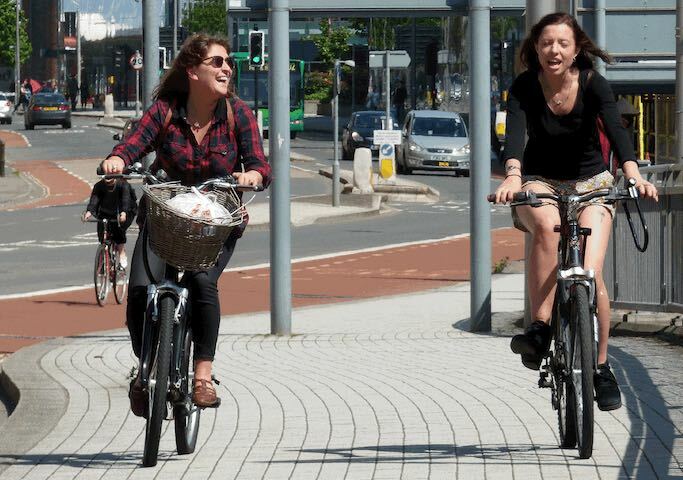 We think that everyone in Bristol should have the freedom to ride a bike. If you do too then join our campaign by asking your local council election candidates to support a specific improvement in your area. Find your ward - enter your postcode or click on the map. Check out the issue we're highlighting in your ward. See statements made by candidates. Ask other candidates for their views. Try it! Not sure what Space for Cycling is all about? Find out here. We've set out a Space for Cycling manifesto for the Mayor, Councillors, and Police Commissioner. See all responses and results by party here. For a list of all ward measures click here. We don't have a direct email for candidates marked *. Email us if you can find it. Got another suggestion for this ward? Tell us! I'm writing to you as you are standing for election in undefined ward where I live. I'm asking you to support the Space for Cycling campaign to make Bristol a city where riding a bike is safe and enjoyable for everyone. This will bring great benefits to those who become more active but also to everyone else as people cycling no longer have to use pavements or take their chances with fast motor traffic. In pledging your support I ask that upon your election you do your best to seek the political support and the funding needed to make this happen and that you recognise the importance of taking action to enable more people to have the freedom to travel by bike in Bristol. We’d like to send you occasional updates about the campaign, please untick the box if you're not interested. We'll send your email shortly. Thank you so much for writing to your candidates. Please come to our Space for Cycling big ride. Statement about Space for Cycling in Bristol and the councillor manifesto.